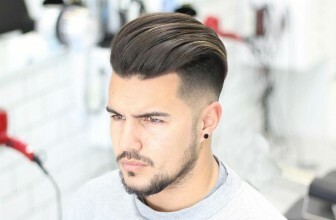 Side swept hairstyles are among the coolest, unique and among the most loved hairstyles by the modern men. 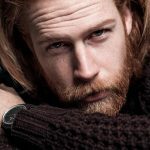 This is because side swept hairstyles make a man look unique and distinguished. In fact, the styles are clean and classy. The following are 25 Side swept hairstyles that you can choose from and look like a real superstar. 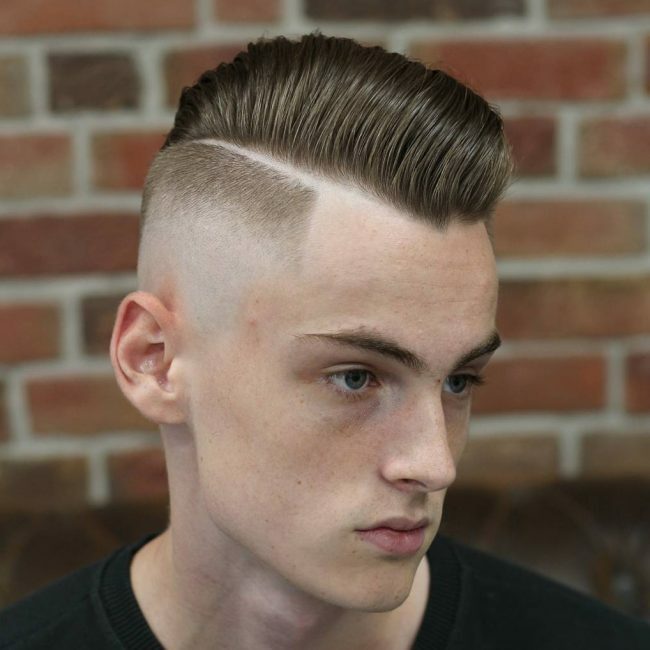 In this style, the hair at the back of the head and temples is shaved clean. 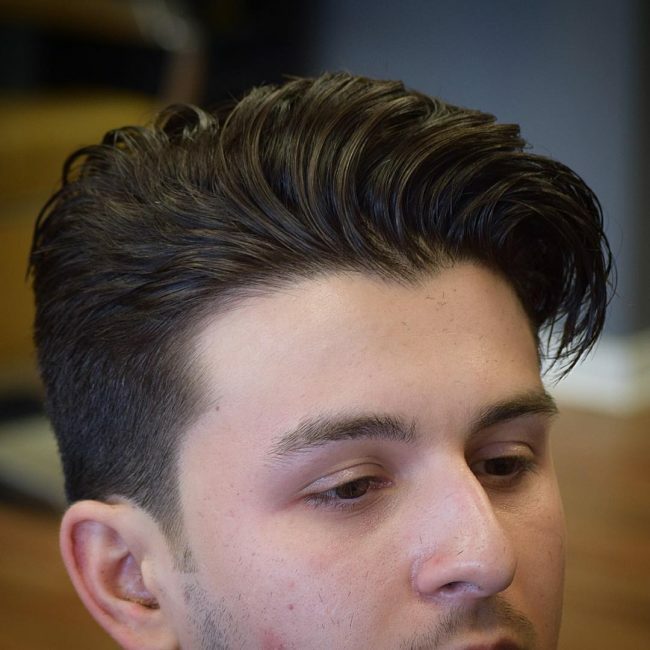 The hair on the top part of the head is slightly trimmed and then combed sideways. A line is made on the left side of the head above the temples to expose the long hair at the top. Here the barber trims short the hair on the temples and the back of the head with a straight cut running from the temples to the back. The hair on the upper part of the head is separated and the one on the front swept backward while the one on the middle top of the head is swept sideways. 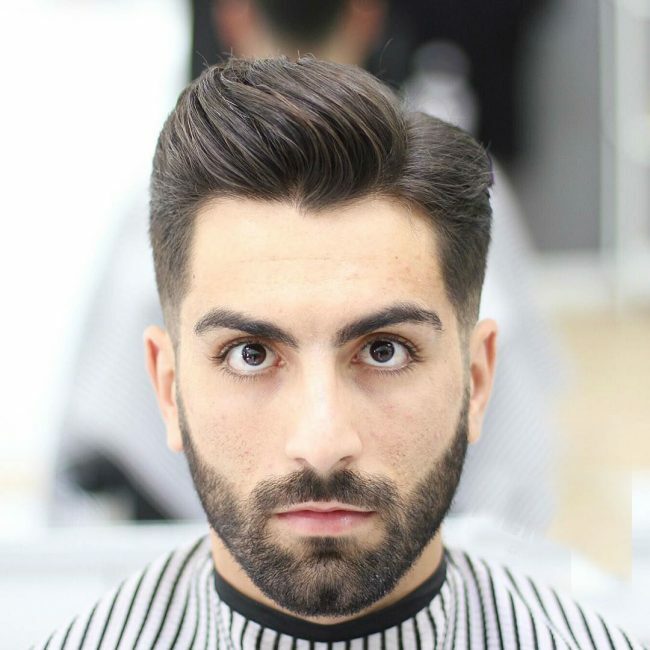 This style is similar to the side swept undercut, only that the hair on the upper part of the head above the forehead is left longer and then combed upwards and sideways. 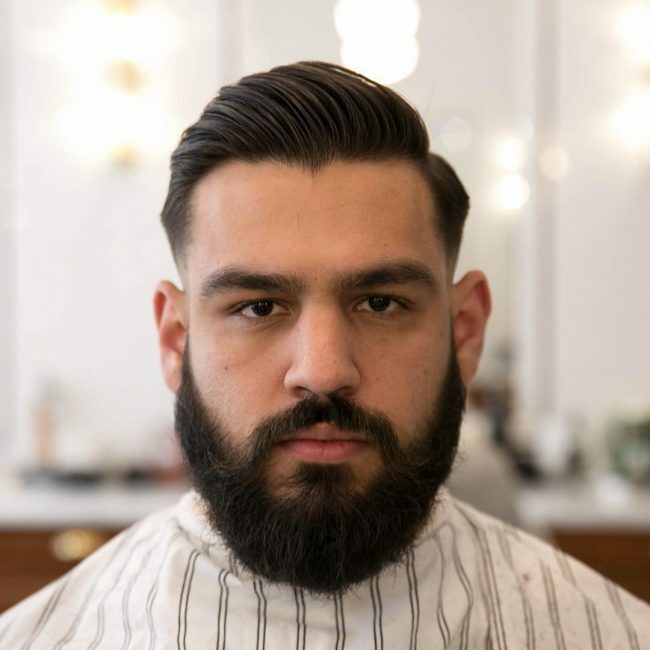 In this style, the barber trims the hair on the entire head, but the one on the top of the head above the forehead is left slightly longer. The hair at the top of the head is then slicked back and sideways from the left part of the forehead. Here the barber shaves clean the hair at the back of the head and the temples with a straight cut on the forehead running to the temples. 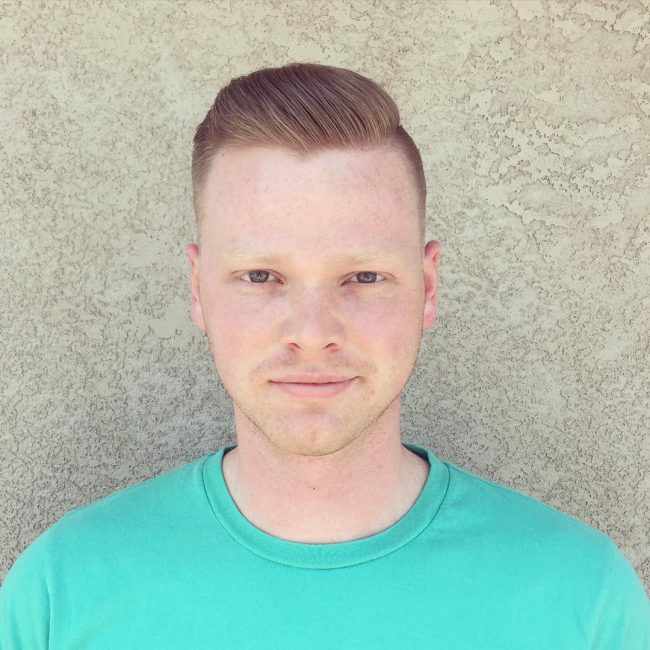 The hair on the top of the head is left longer and then swept back and sideways. 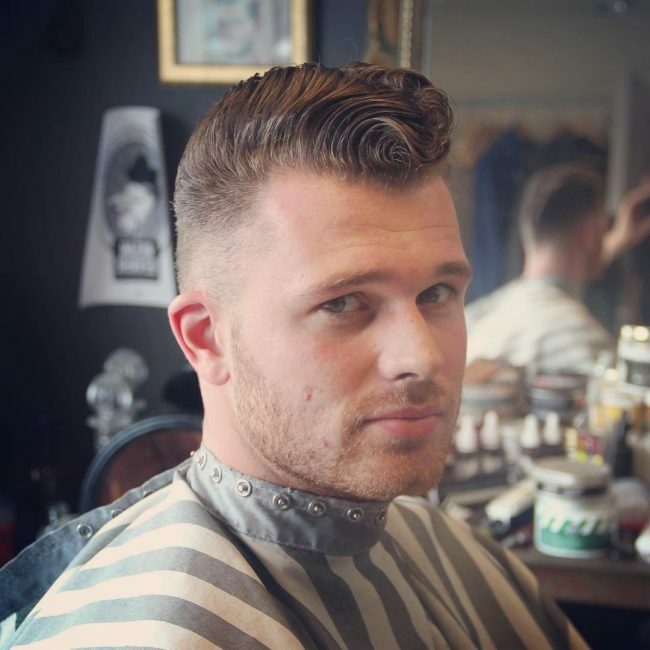 In this style, the barber shaves clean the hair on the temples and the back of the head completed with an angular cut on the sideburns. 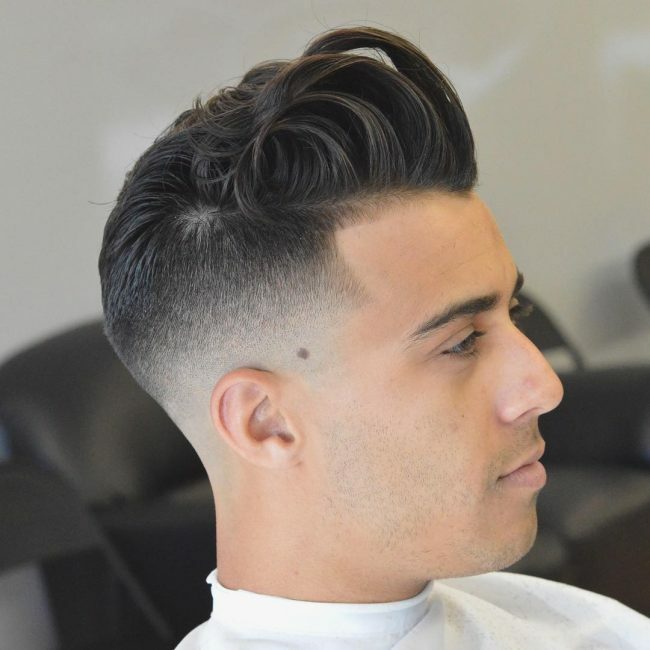 The hair on the top of the head is shortened, texturized and then swept back and sideways. 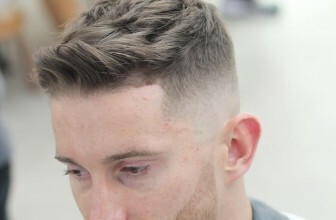 In this style, the barber trims short the hair on the back of the head and temples, but the hair on the top of the head above the forehead is left slightly longer. The longer hair is then slicked back and sideways. 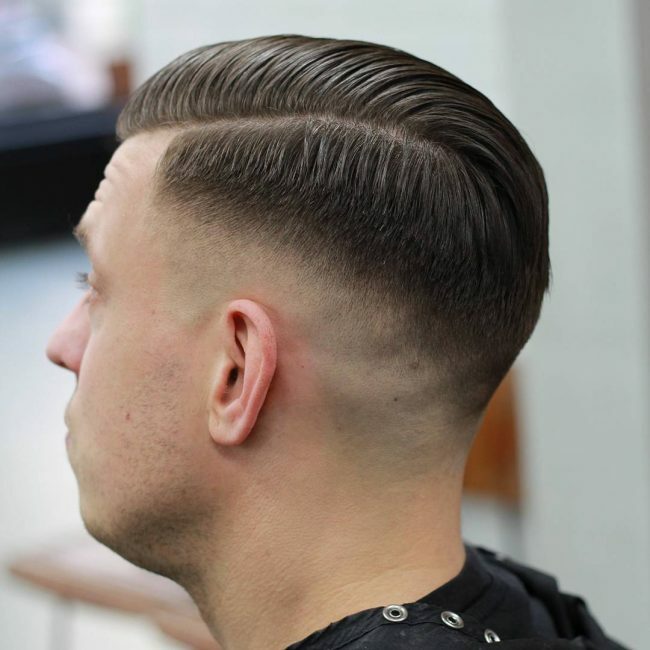 In this style, the barber shortens the hair at the back of the head and the temples, leaving the one on the top of the head slightly longer. A line is made from the left forehead running to the back to divide the hair left on the upper part of the head. The upper half is slicked sideways and the lower half downwards. In this style, the barber shaves clean the hair at the back of the head and the temples, completed with a straight cut on the forehead. 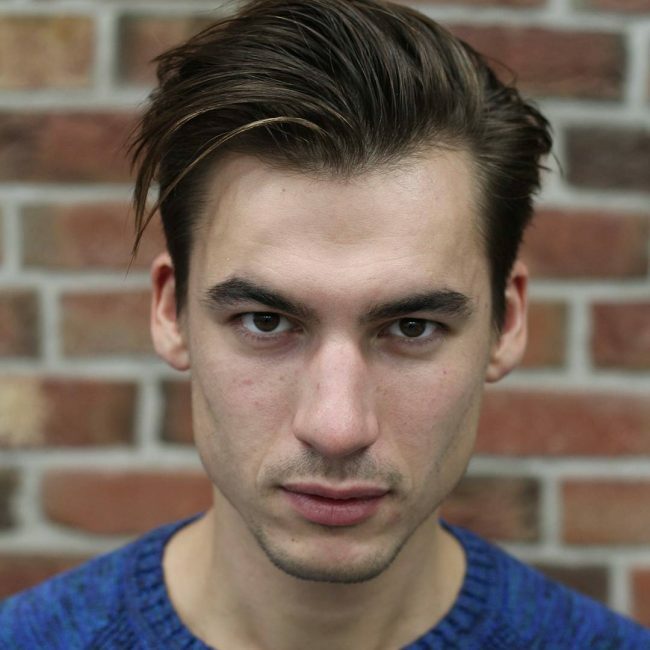 The hair on the top part of the head is left longer and then slicked back and sideways. 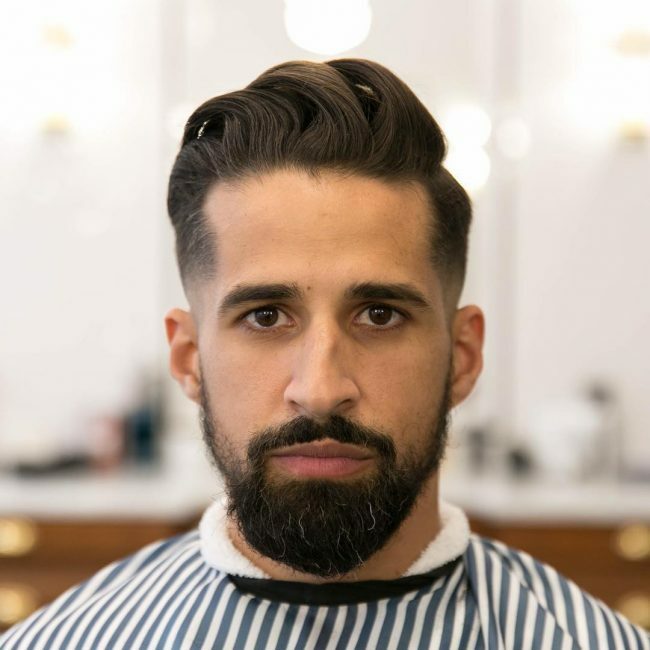 The barber shortens the hair at the back of the head and the temples, leaving the one on the top of the head slightly longer. 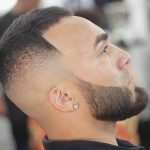 A line is made from the left forehead running to the back to divide the hair left on the upper part of the head. 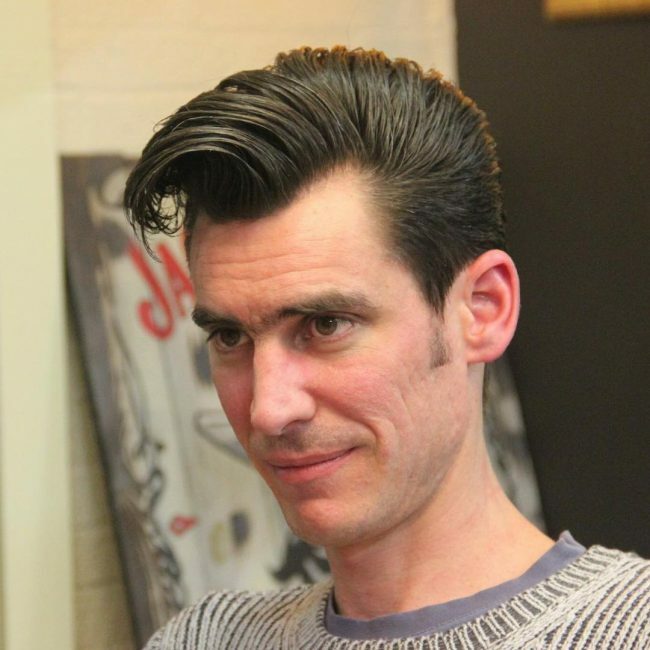 The upper half is slicked sideways and the lower half downwards with an angular cut down to the sideburns. 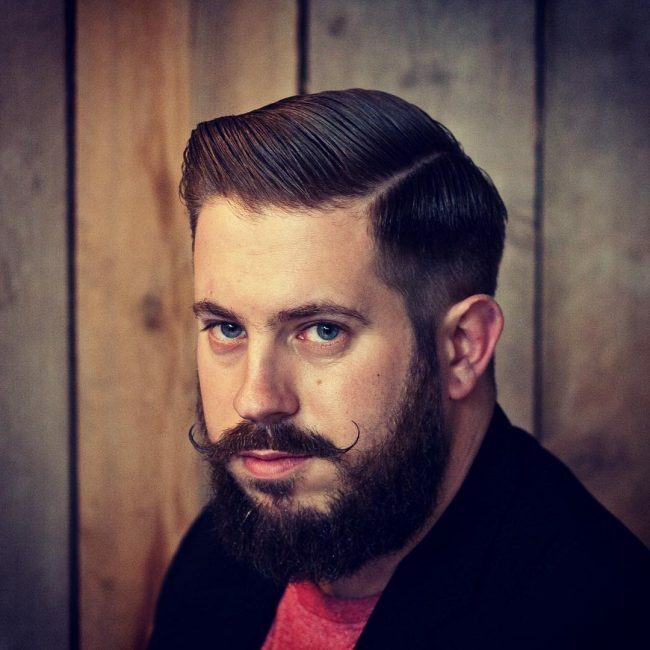 The style can be completed with styled beards. 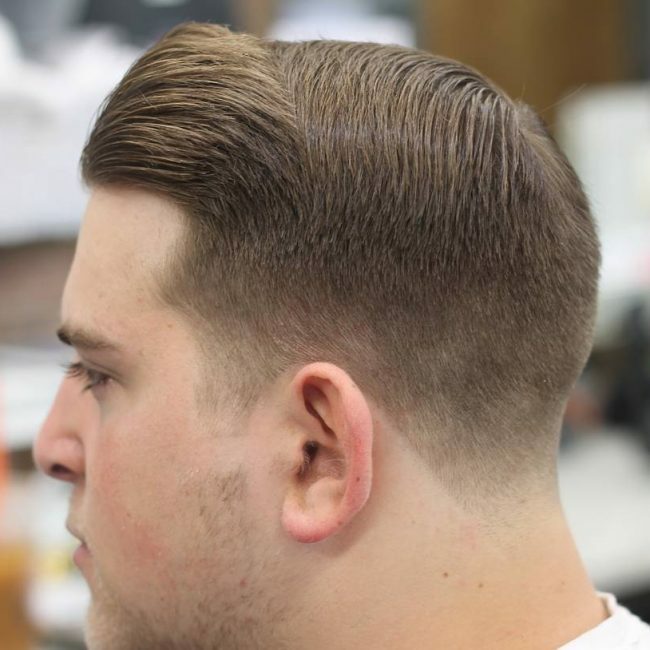 In this style, the barber shaves clean the hair on the temples and the back of the head. The hair on top of the head above the forehead is left longer and then combed upwards and sideways. 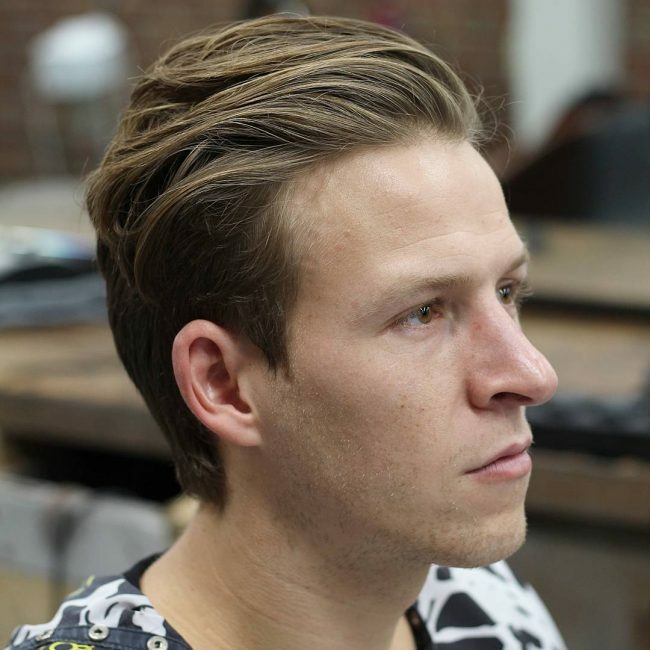 A line is made on the right upper side and the hair below it trimmed shorter before being combed combing downwards. The barber shaves clean the back of the head and the temples, leaving an expansive long hair on the top of the head. The hair above the forehead is lifted and swept sideways while the upper hair is flattened and swept sideways. 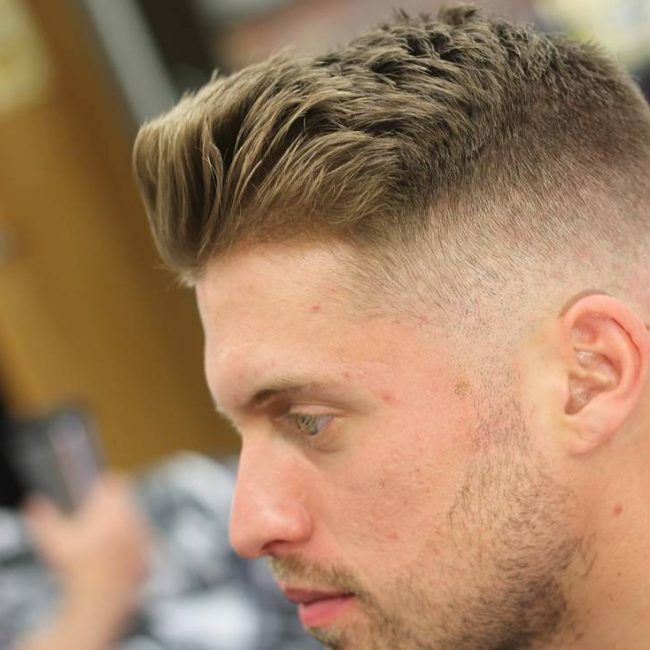 In this style, the barber trims the hair on the temples and the back of the head. The hair left on the upper part of the head is flattened and slicked backward. Here the barber shaves clean the hair at the back of the head and the temples. 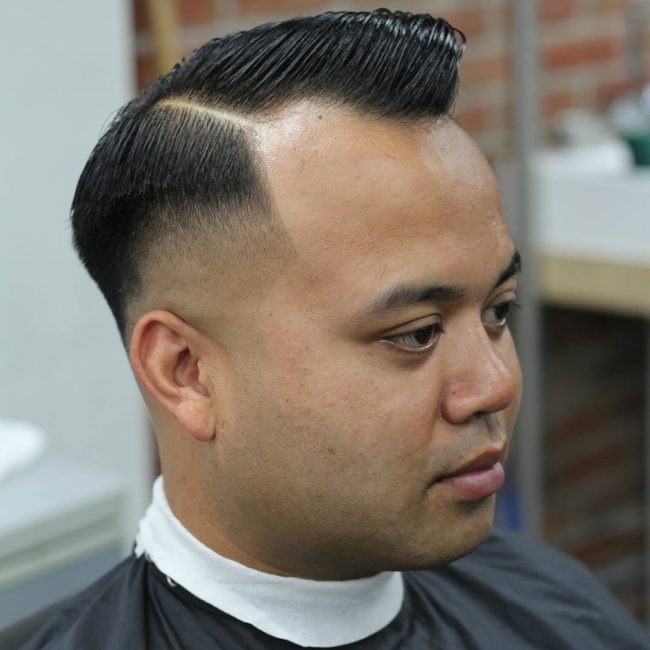 The hair on the top of the head is left longer and then swept to the back. In this style, the barber shaves clean the hair at the lower back of the head and the temples. 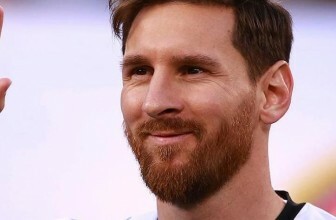 The hair on the top of the head is left slightly longer. The hair on the upper part is divided from the left side of the forehead and each half swept sideways. Here the barber trims short the hair on the back of the head and the temples. 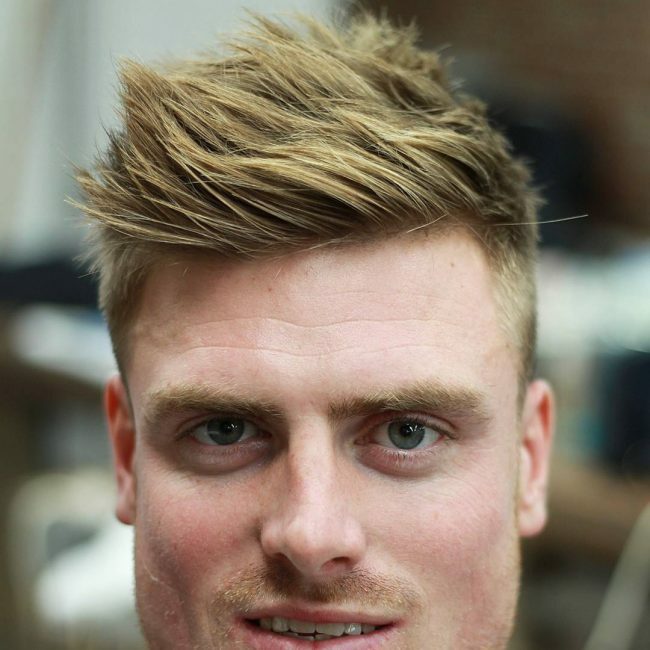 The hair at the top of the head is left longer, blown outwards and swept sideways. The barber shortens the hair at the back of the head and the temples, leaving the one on the top of the head slightly longer. A line is made from the right forehead running to the back to divide the hair left on the upper part of the head. 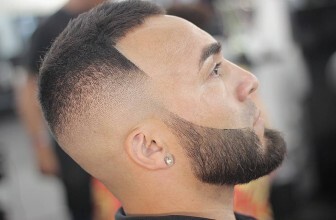 The upper half is slicked sideways and the lower half swept downwards with an angular cut running down to the sideburns. 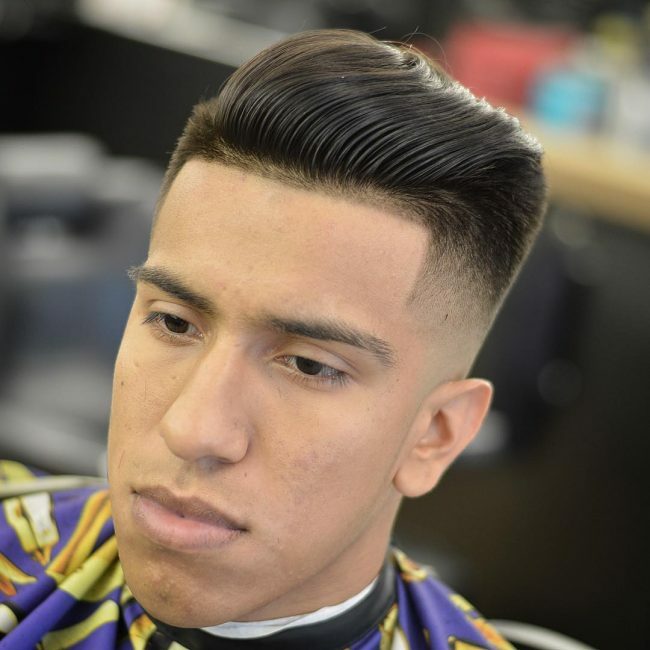 In this style, the barber uses only the scissors to trim the hair at the back of the head and the temples, leaving the hair on the upper part of the head long enough to be swept sideways to form a rising and falling theme. 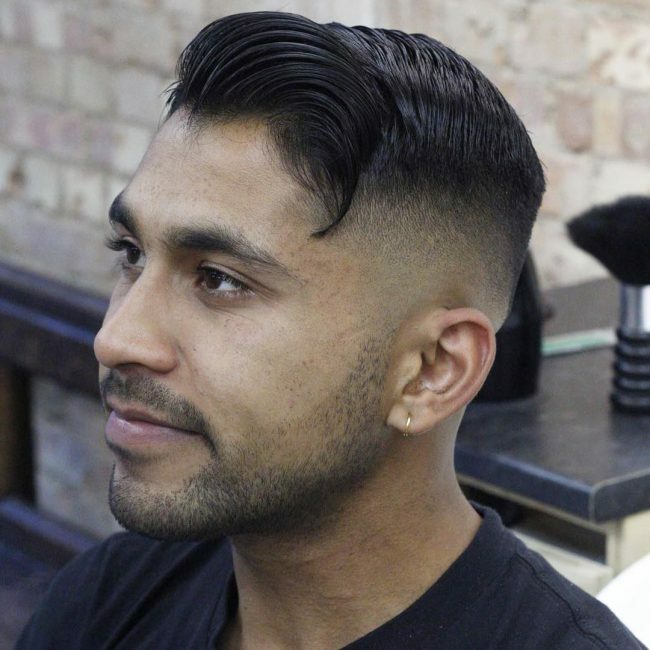 In this style, the barber shaves clean the hair at the back of the head and the temples with an angular cut down to the sideburns. 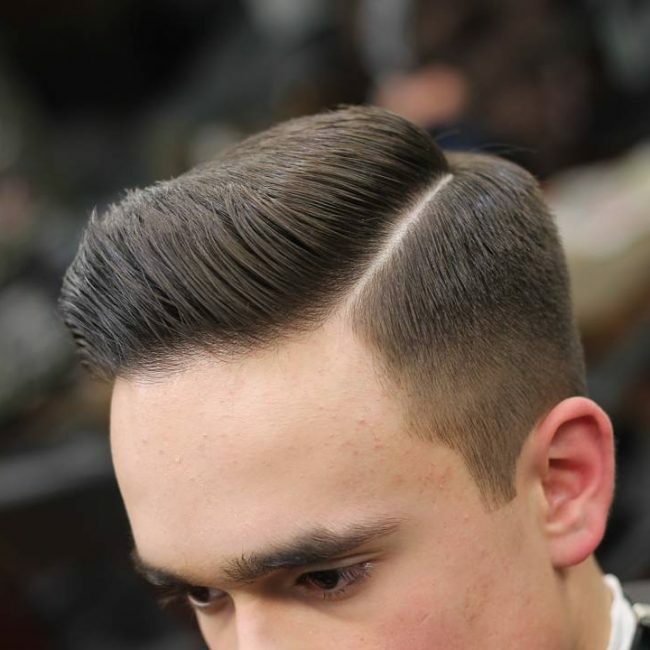 The air hair is left on the upper part the head that is styled by sweeping it back and sideways. 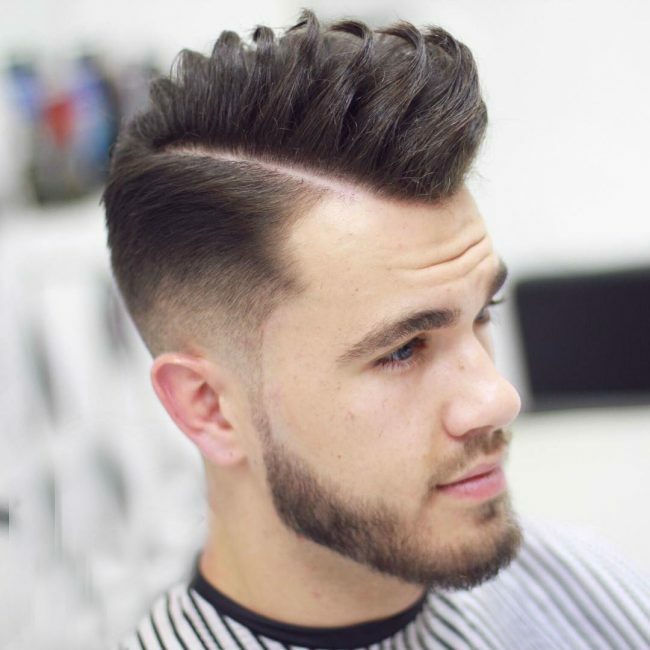 In this style, the hair is just trimmed slightly on the temples and then swept back and sideways to create a relaxed theme. The barber trims short the hair at the back of the head and the temples completed with an angular cut down to the sideburns. The hair on the upper part of the head is left long, made into curls and then blown outwards. 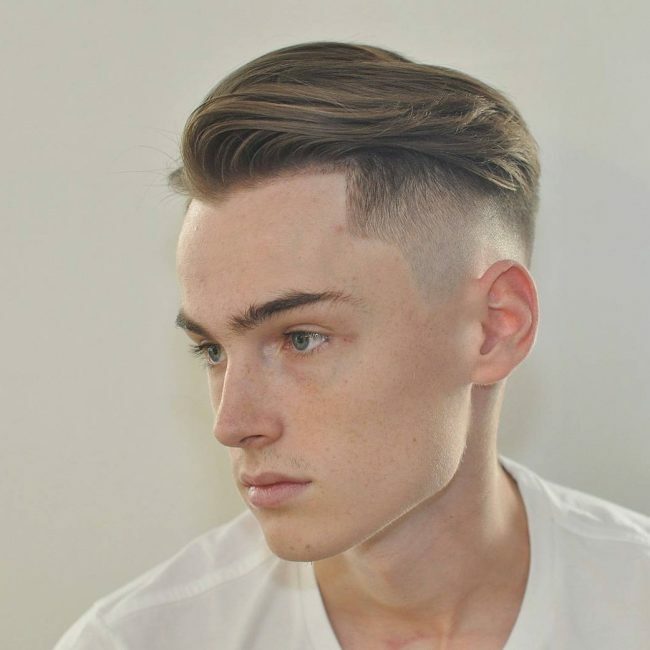 In this style, the hair at the back of the head and temples is shaved clean. The hair on the top part of the head is divided in two and one half trimmed short. The other half is slicked sideways to create a falling wave theme. Here the barber shortens the hair on the back of the head and the temples to match with the sideburns. The hair left on the upper part of the head is swept forward and sideways to create a theme of an approaching tide. 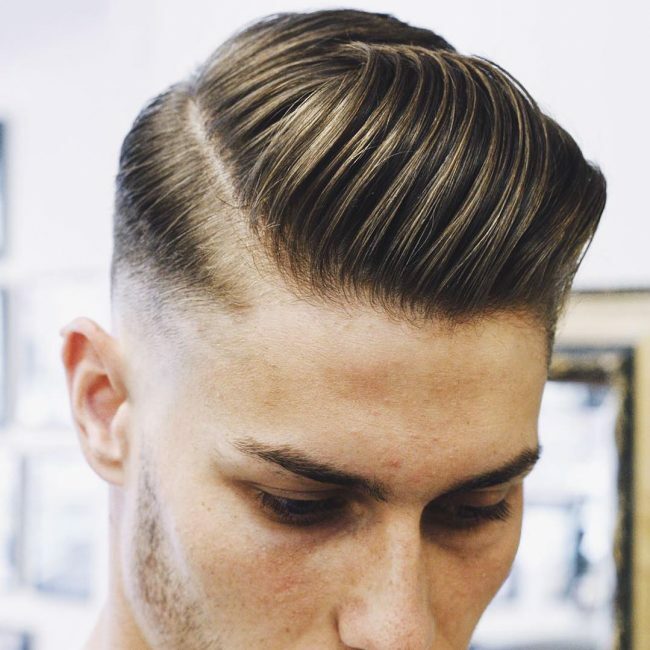 In this style, the hair at the back of the head and temples is shaved clean. The hair on the top part of the head dived in two and one half trimmed short. The other half is slicked sideways to create a falling wave theme. The line dividing the upper part is styled on the forehead by widening it to resemble a funnel. The barber shaves clean the hair on the temples and the back of the head downwards completed with a straight cut on the forehead above the temples. 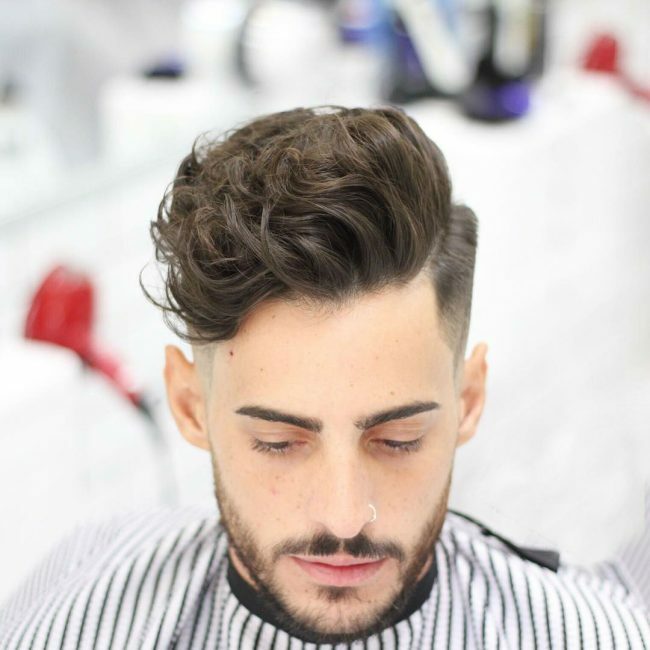 The hair at the top of the head is left untouched and then swept back and sideways. Generally, side swept hairstyles go together with many styles and it is easy to include them in other styles. 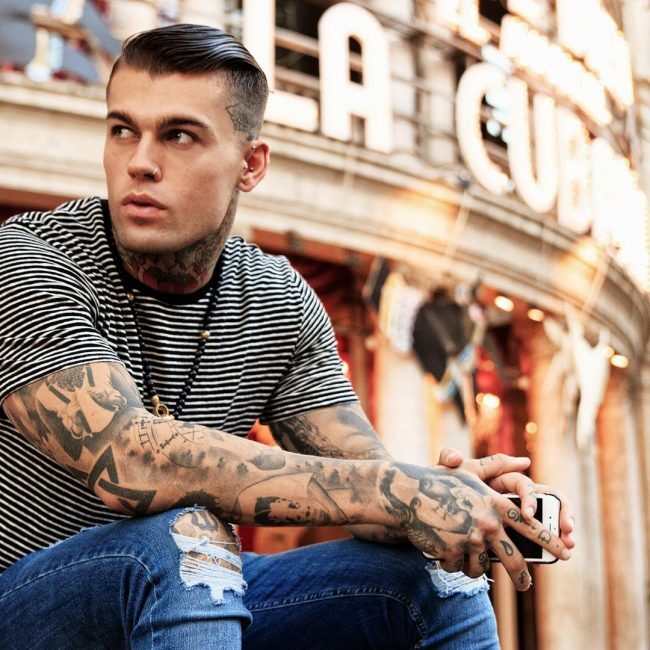 However, it is important to find a barber who is conversant with a wide range of men’s hairstyles to help you choose the coolest style for your hair.